Give new meaning to "ballet flat" with the chic style of the Chinese Laundry Endless Summer. 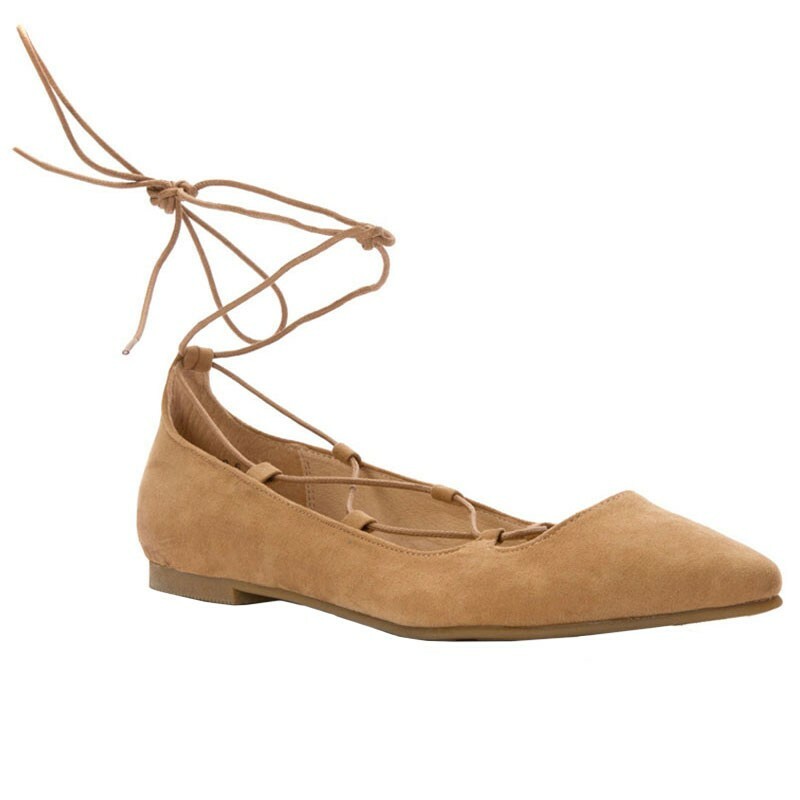 This women's ballerina-inspired style features a faux suede upper with slim cord laces that criss-cross all the way up to the ankle. The pointed toe helps elongate the legs, and a lightly padded insole keeps you feeling comfortable. The synthetic outsole features a zig zag design so you can leave your mark with each step. Paired with everything from flowy skirts to tailed jeans, the Chinese Laundry Endless Summer certainly provides endless possibilities for style.